Here are the last two of the Gee's Bend quilts that I patterned. 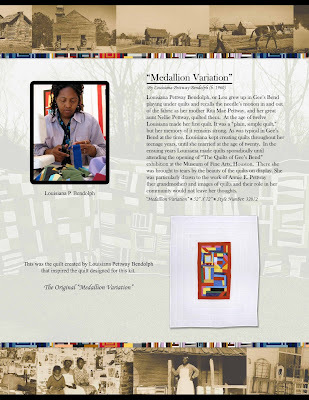 The first is the Medallion Variation by Louisiana P. Bendolph. Here is her original quilt as seen on the page with her bio. 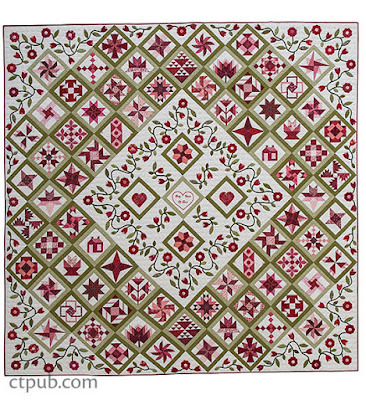 Note that her quilt is surrounded with a LOT of white fabric! And here's my version (minus the white borders). 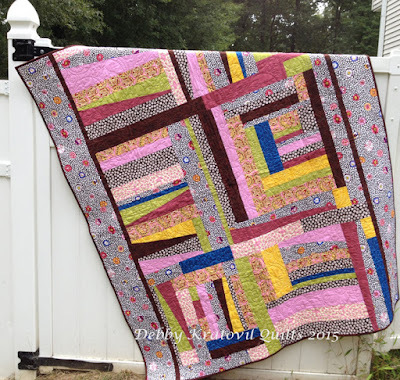 I have made this quilt 3 times! The first is owned by Windham Fabrics. 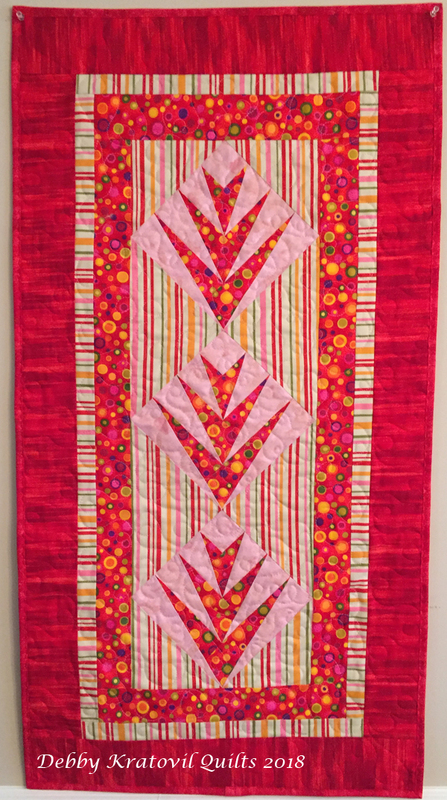 Medallion Variation: 52" x 76"
The second I sewed and gave to my oldest daughter's best friend. I hung it on my kitchen wall with that "Happy Birthday" note on it. It took her about 20 minutes to realize that it was meant for her. She was totally blown away! 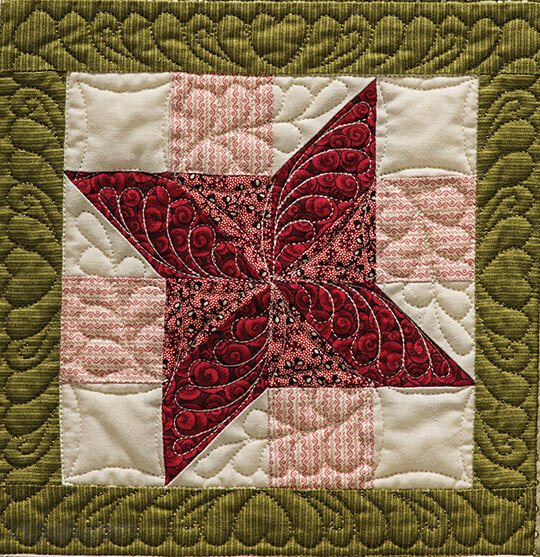 Can you see how beautifully Connie Gallant quilted it? 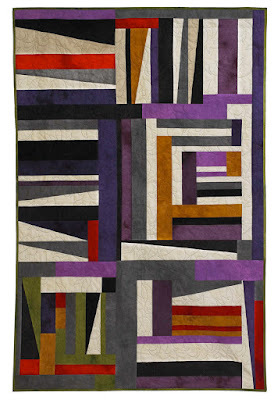 The third one is still hanging in my closet waiting to be quilted. I guess you could say I like this quilt. Could it be the red? 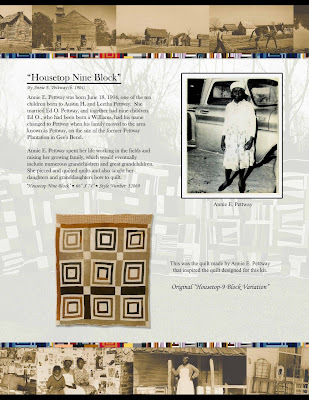 The 8th quilt is the Housetop 9 Block by Annie E. Pettway. 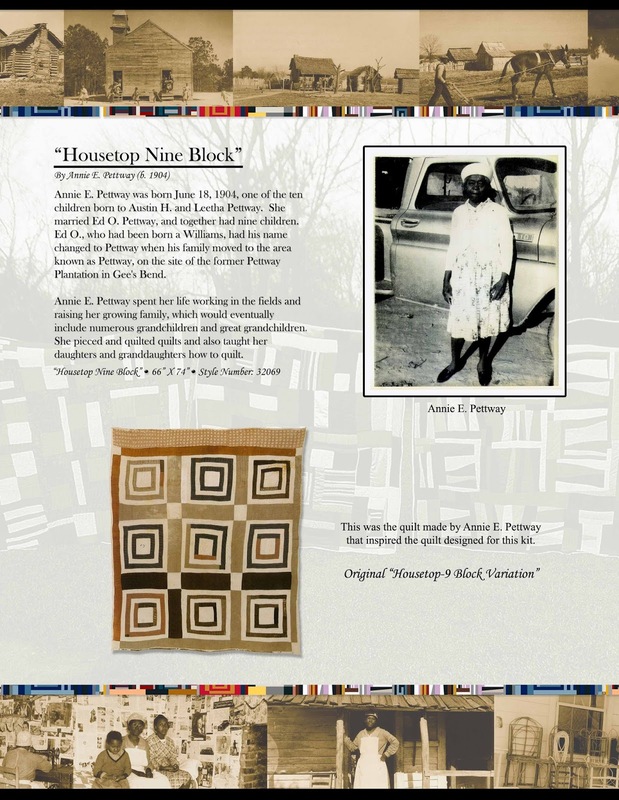 Annie E. Pettway and her Housetop 9 Block: 66" x 73"
And my rendition. Aren't those unequal borders something else? Who says they have to be matchey-matchey? 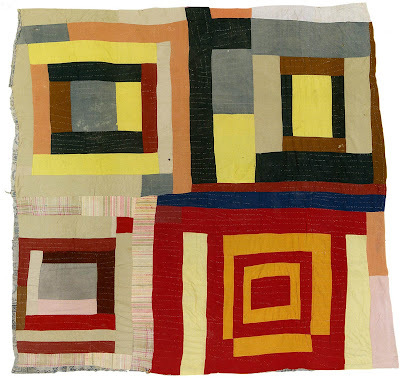 I hope you enjoyed seeing these 8 quilts. 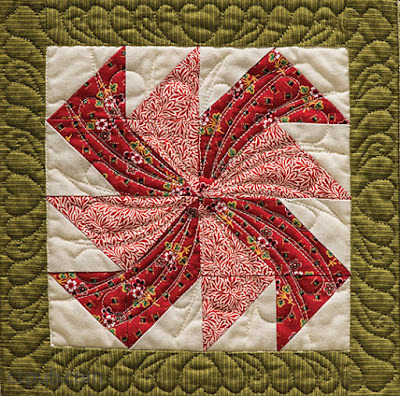 I know a lot of people have enjoyed being able to replicate them from my patterns. And each of the Gee's Bend ladies were thrilled to have them receive such a wonderful public welcome. It was a win-win for everyone involved. 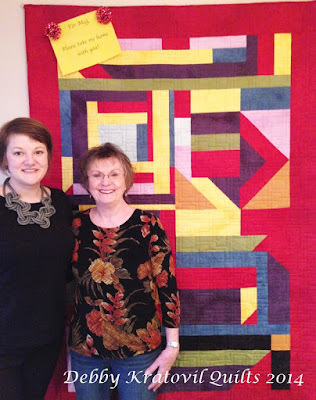 Today I introduce you to Mary Bennett and her Housetop Four Block quilt. This is an improvisational approach to a log cabin. 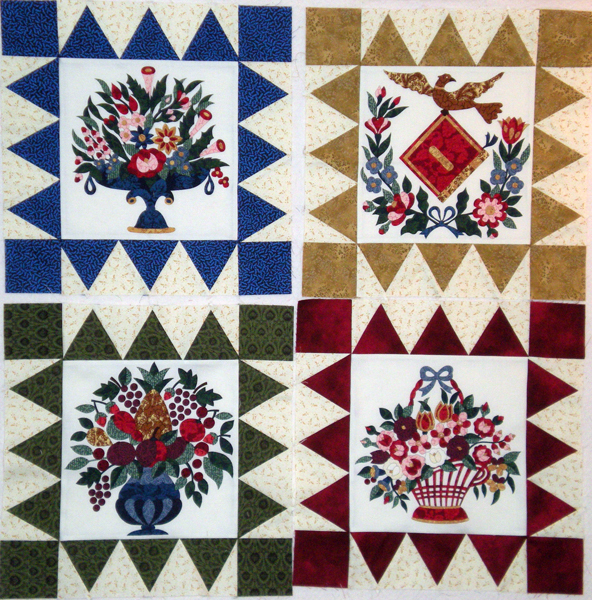 Four log cabin blocks. Very irregular. Very creative. Very scrappy. 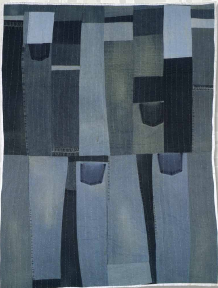 Housetop 4 Block by Mary Bennett: 77" x 82"
Housetop 4 Block: 57" x 65"
The next quilt is something many of us make from our kids' old denims. Take a look! 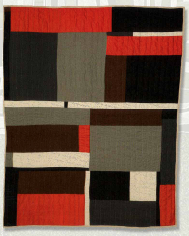 And my pattern, as close as I could get to Loretta's. 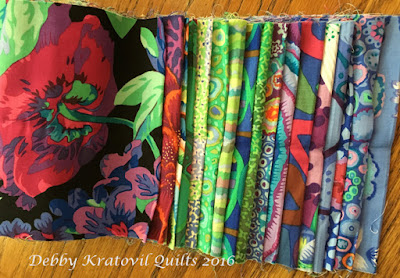 I included those 4 pockets - yes, I did! And let's see Loretta Pettway Bennett and a little of her bio. She is pretty young (ok, younger than me), born in 1960. She has a lot of quilting left in her hands. 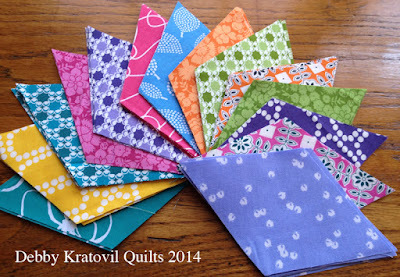 And lots of great ideas for future quilts in her mind. 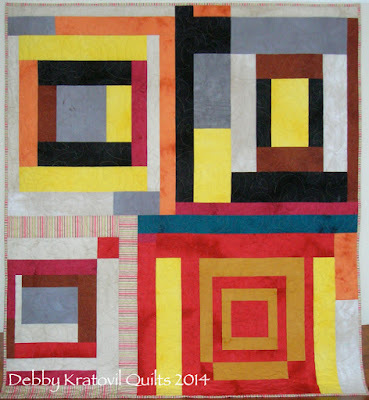 Blocks and Strips by Debby Kratovil: 50" x 62"
Each of these patterns is available on my Craftsy site for download. 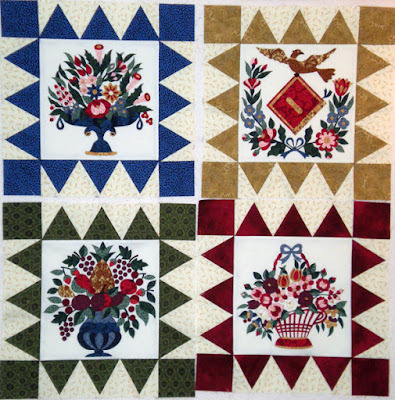 I patterned them so any quilter with basic cutting and piecing knowledge can make them. And if you get a little improvisational with your seam allowances - so what? 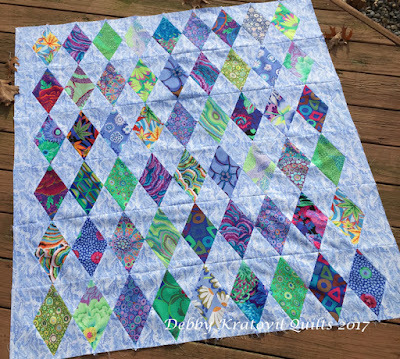 These are not your cookie cutter type quilts and no one will be the wiser if you stitched and chopped a little differently! I hope you enjoyed seeing these 3 wonderful quilts. I have two more coming the first of the week. That makes a total of 8 quilts that I had the pleasure - and privilege - of patterning. 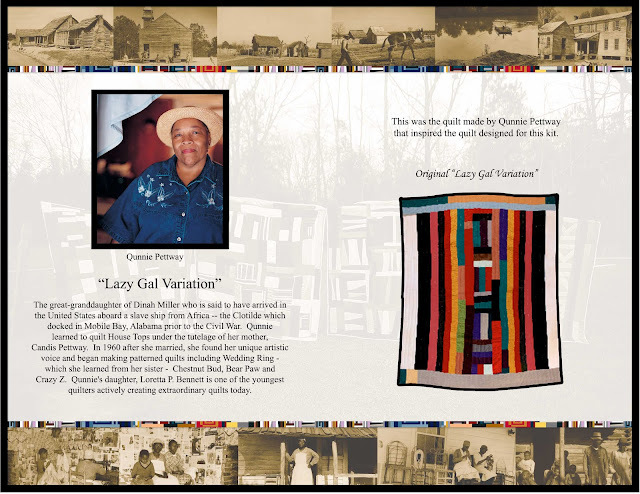 My favorite of all the Gee's Bend quilts is Lazy Gal. Not sure why Qunnie Pettway called it that, but it's beautiful! Qunnie Petway's Lazy Gal: 70" x 81"
My rendition of Lazy Gal: 52" x 62"
Here is the pattern sheet that shows a picture of Ms. Pettway and a bit of her bio. 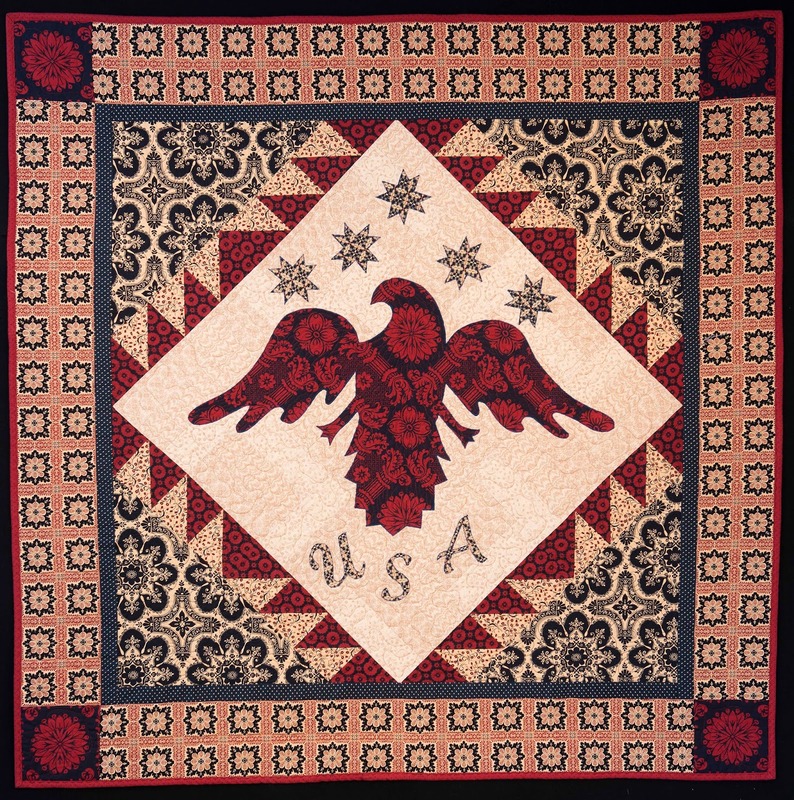 Remember, these ladies were quilting for UTILITY and not for show or to enter quilt shows. They are from a very poor town in Alabama which was named "Gee's Bend". Do a Google search and you can read the rich history. Another favorite of mine is Strips and Strings. This was the MOST DIFFICULT for me to pattern. Can you see why? Strips and Strings by Mary Bendolph: 74" x 49"
I literally pulled my hair out on this one. What do you think? 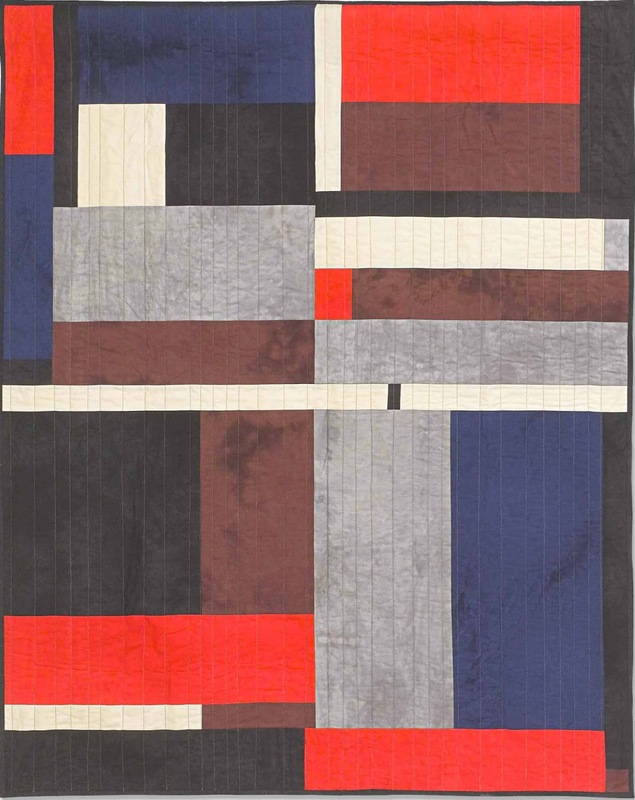 Strips and Strings by Debby Kratovil: 50" x 75"
Here is the bio sheet from the pattern about Mary Bendolph. I decided to make this pattern with some modern/current fabrics. 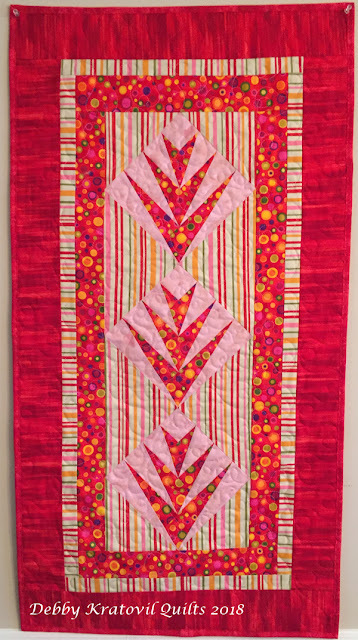 Some Amy Butler; some Kaffe Fassett. It's a little wild, but just wanted to show you . . . 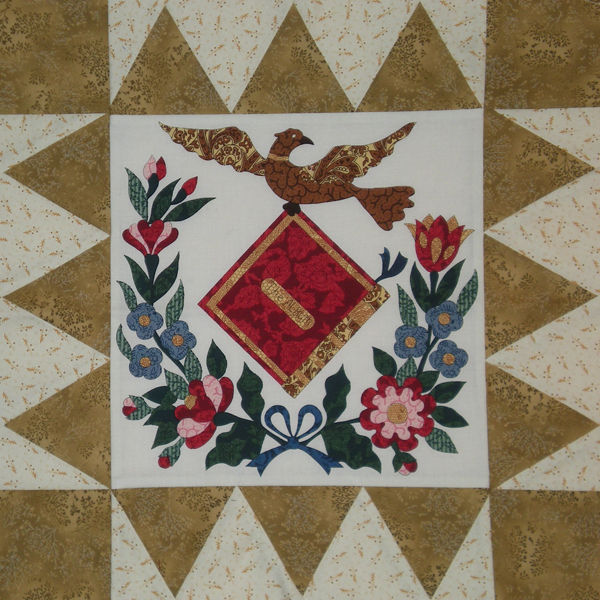 I sewed it around 2009. Added side borders. 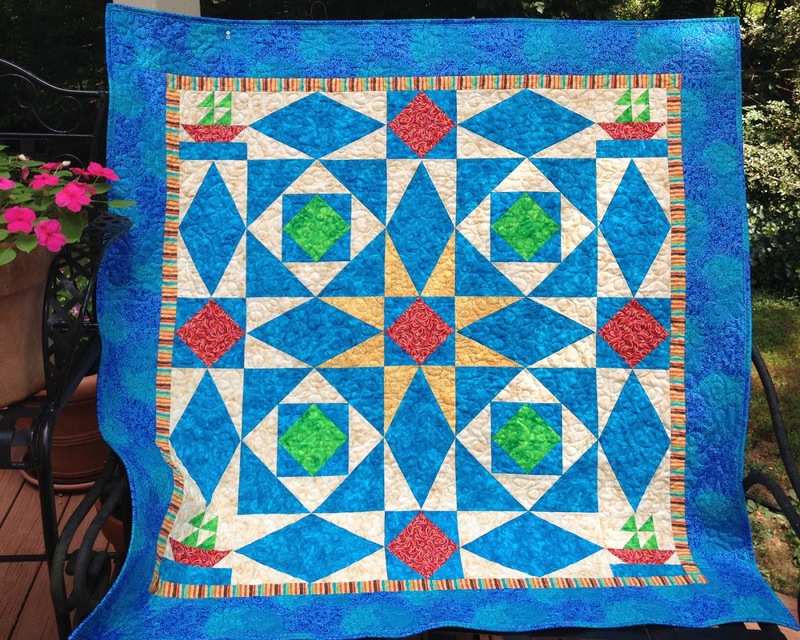 Beautifully quilted by Connie Gallant. It waited about 3 years for the binding. Then I used my neighbor's beautiful white fence to photograph it. Like I said - a little wild! I partnered with Windham Fabrics in 2008 to create patterns to go with their fabrics for the Gee's Bend quilts. They had been in negotiations for over a year with the Gee's Bend Collective of quilters to offer patterns for the most famous of the quilts made from their quilters. 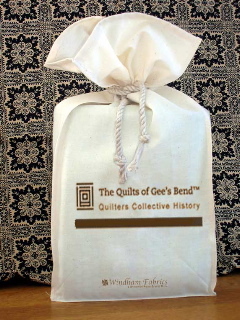 This is the bag the kits would eventually be packaged in. My design, btw. 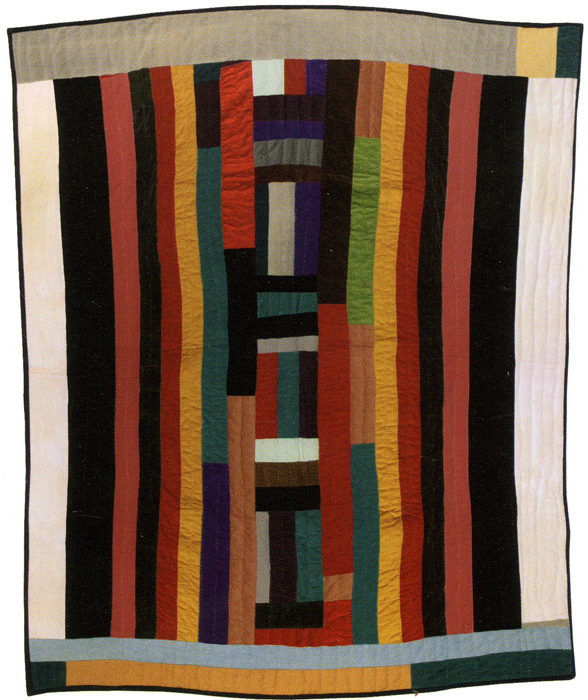 Together, they selected 7 quilts. 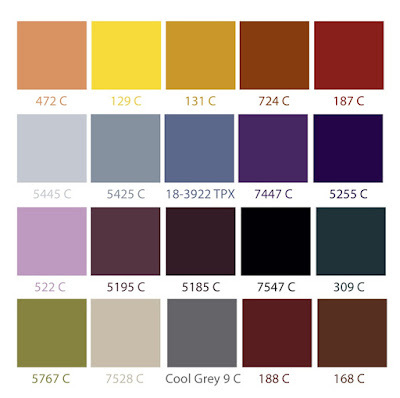 Then Windham and I selected a color palette of about 2 dozen colors that would be used for the quilts. 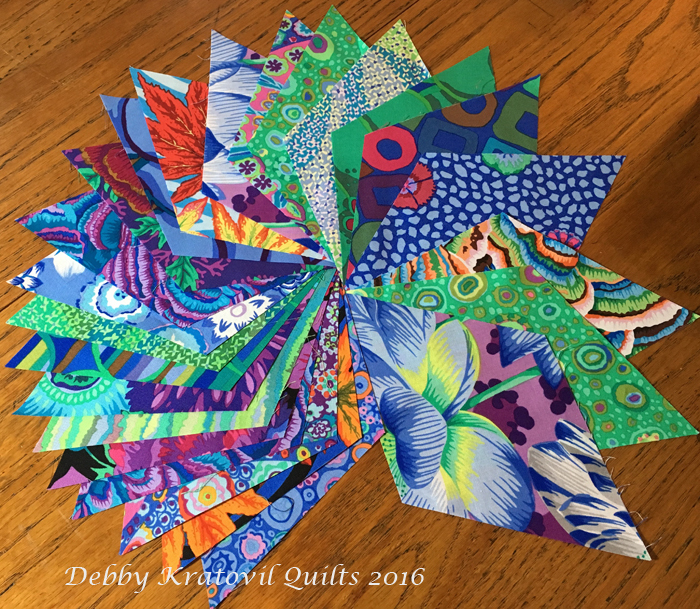 These would become a group of batik/tie dyed type of fabrics that would mimic the scrap fabrics used in the original quilts. It took us several months to do this. To say that I didn't know what I was doing is an UNDERSTATEMENT! 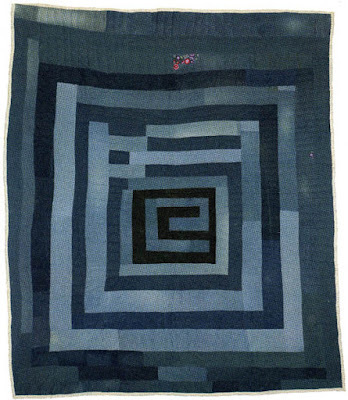 We were feverishly sending emails back and forth 10 years ago (2008) discussing the quilts, the ones that might be most welcomed by the quilting community, the ones that could REALISTICALLY be patterned. Remember, these were IMPROVISATIONAL quilts. 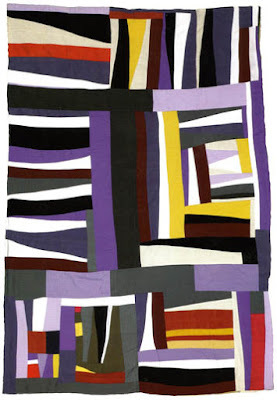 Scrap quilts. Quilts made with various scraps and leftovers. How in the world do you PATTERN an improvisational quilt? That's an oxymoron, right? Here is the Housetop Quilt. Can you believe the size of this single log cabin block? 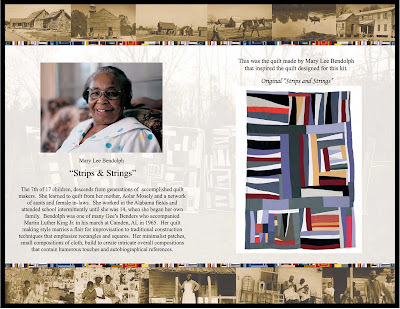 The original by Rita Mae Pettway was 84" x 70"! We scaled it down to 51" x 62". And do you see that renegade red patch at the top? Clever! 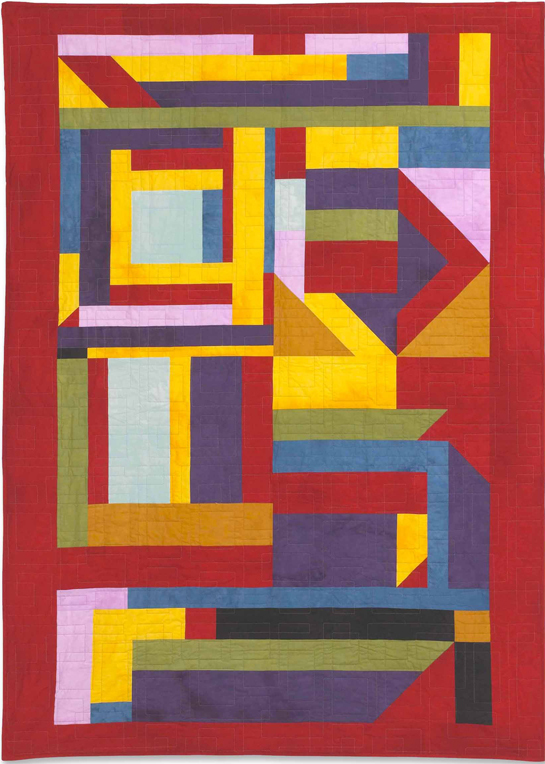 Housetop Quilt by Rita Mae Pettway: 84" x 70"
And my version of the quilt (which I still sell on Craftsy). 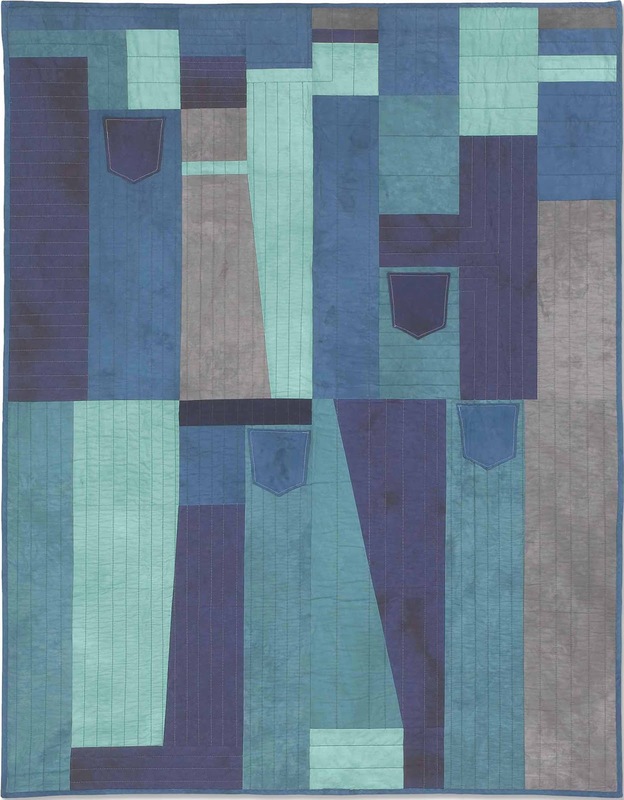 Housetop Denim: 52" x 64"
Housetop Denim: 51" x 62"
Check it out. More quilts to follow (since I patterned a total of 8 quilts). The Gee's Bend quilters were ecstatic to see my renditions of their quilts. 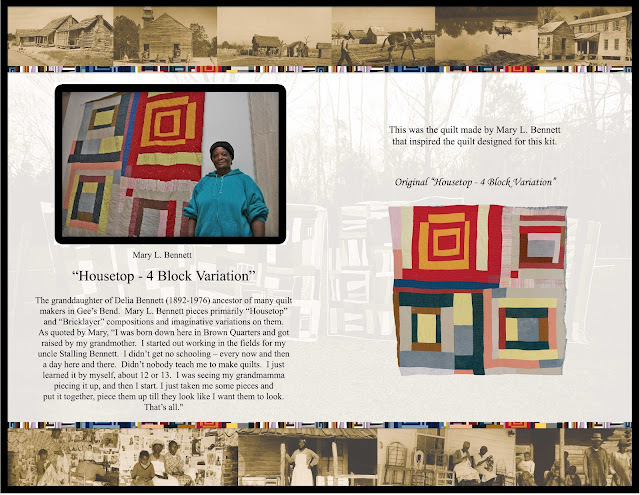 Windham sent each of them the quilt kit for their particular quilts and they sewed them up and loved it! 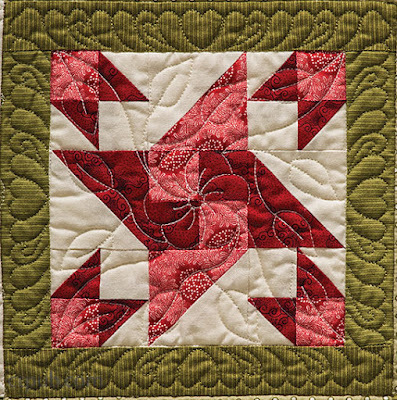 I love appliqué. Oh, not to do it by hand, of course. I gave that up 20 years ago. Anything I do is by machine. But what I want to show you is the cheater's approach to Baltimore Album. I came across a set of these panels about 10+ years ago. Not sure if they are by Mimi Dietrich, Mary Koval or who. I decided to cut out the panels and surround with Dogtooth units. What are dogtooth units? They are 60 degree triangles that look like, well, dog teeth. Very, very sharp dog teeth! I have 4 blocks to show you. Abandoned these about 8 years ago. Now I'm going to go look for that box! This first one is surrounded with deep red dogtooth triangles and squares. 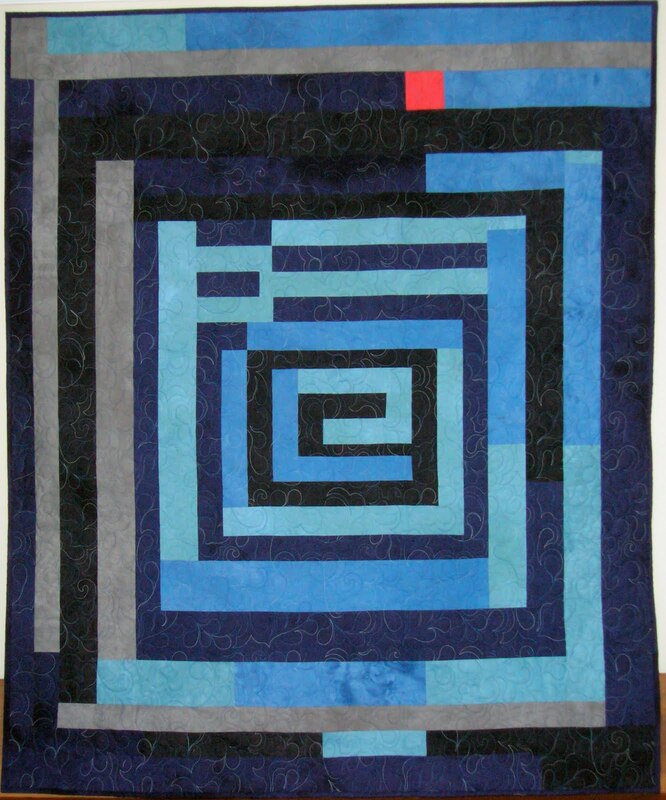 My next block is surrounded by blue patches. Now for some fruit . . .
And let's not forget a bird, a diary and a wreath of flowers and leaves. Let's see them all together. They haven't been joined because I'm not sure if I want to put a thin strip between all those triangles. What do you think? I actually designed and made ONE Baltimore Album quilt. Must be at least 12 years ago! 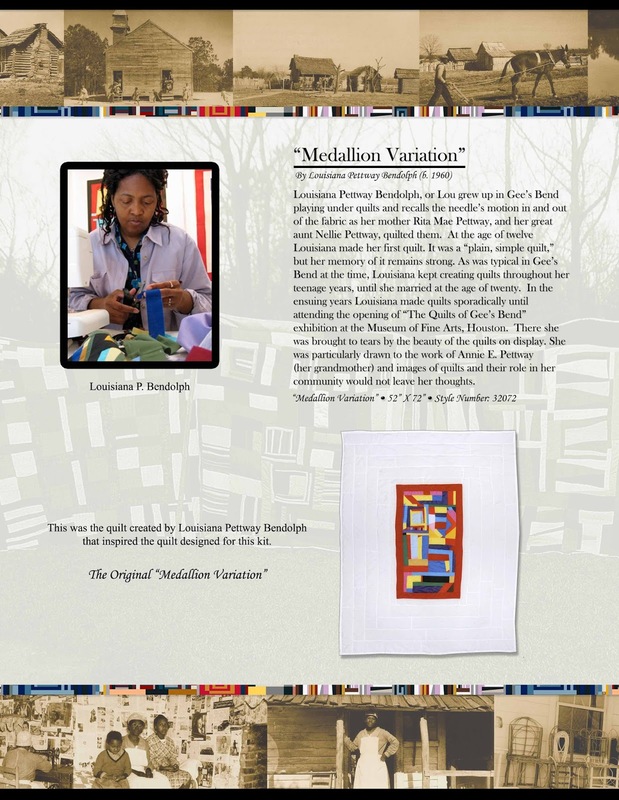 I call it Leslie's Album because the Marketing Director for Windham Fabrics at the time was named Leslie and was designing with one of their reproduction collections. Want to see it? 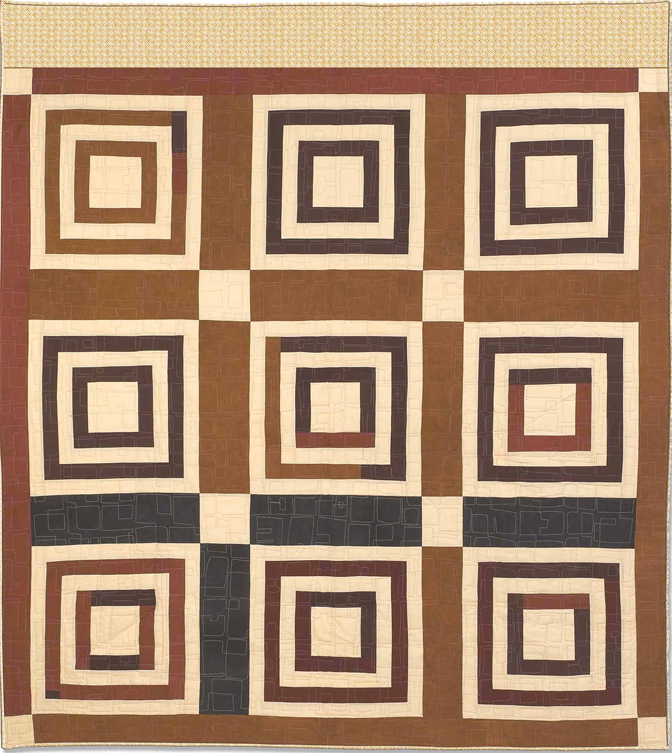 It was published in Quilter's World Magazine. 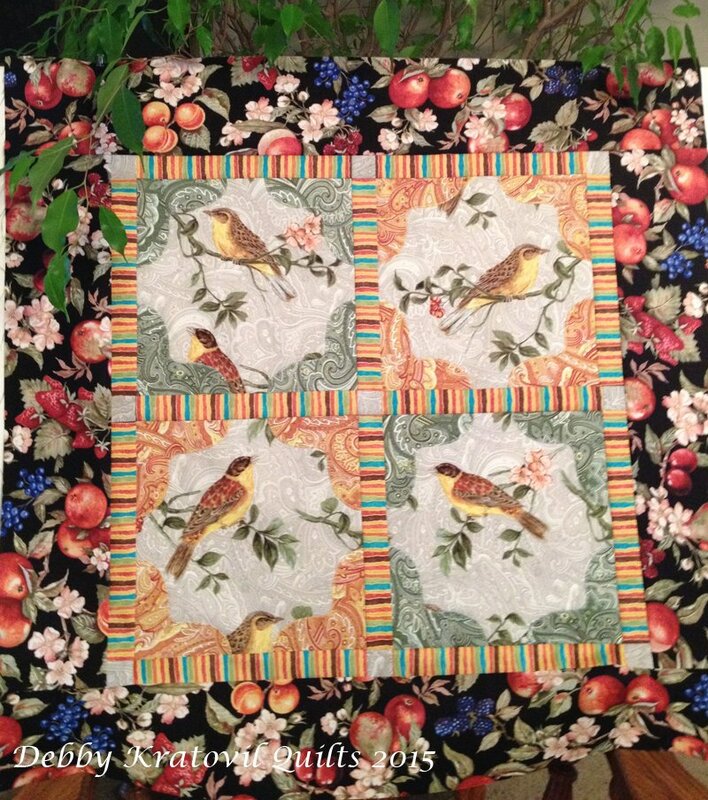 Leslie's Album: 31" x 37"
You can find it at my Craftsy store for only $4.00! Full size templates and clear instructions in a 5 page pdf. Just a little taste of some Baltimore Album, right? Not a whole quilt but just enough for a sweet taste! When I was a child in school (1960s and 70s), we celebrated President's Day - two of them. First, for our first president, George Washington. And then for our 16th president, Abraham Lincoln. Now, we just combine them into one generic day and it's February 19th this year. 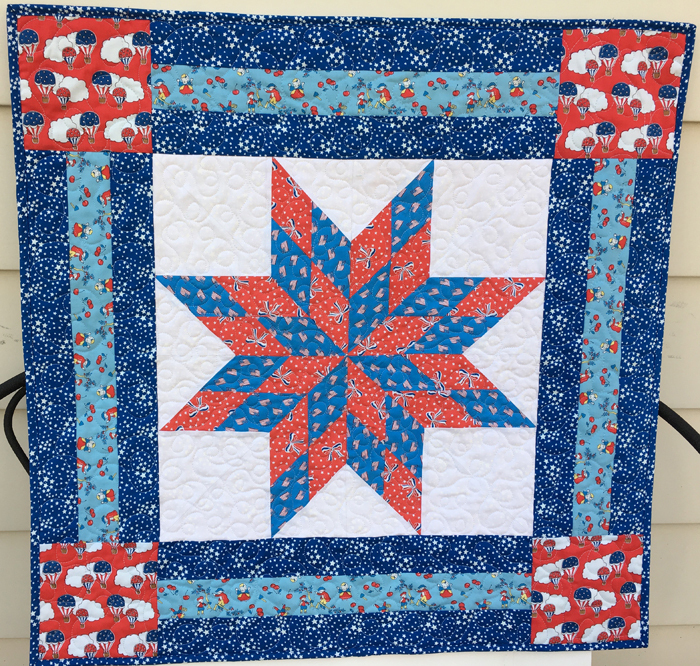 Let me show you some of my patriotic quilts, beginning with the most recent. 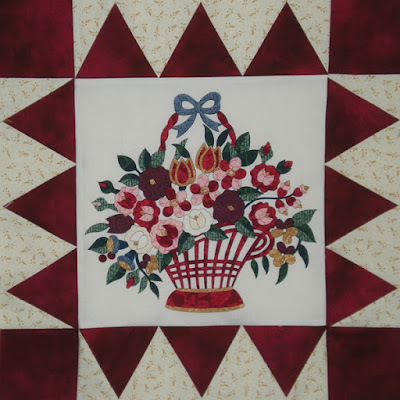 This was made using Windham Fabrics and their Storybook Americana collection. 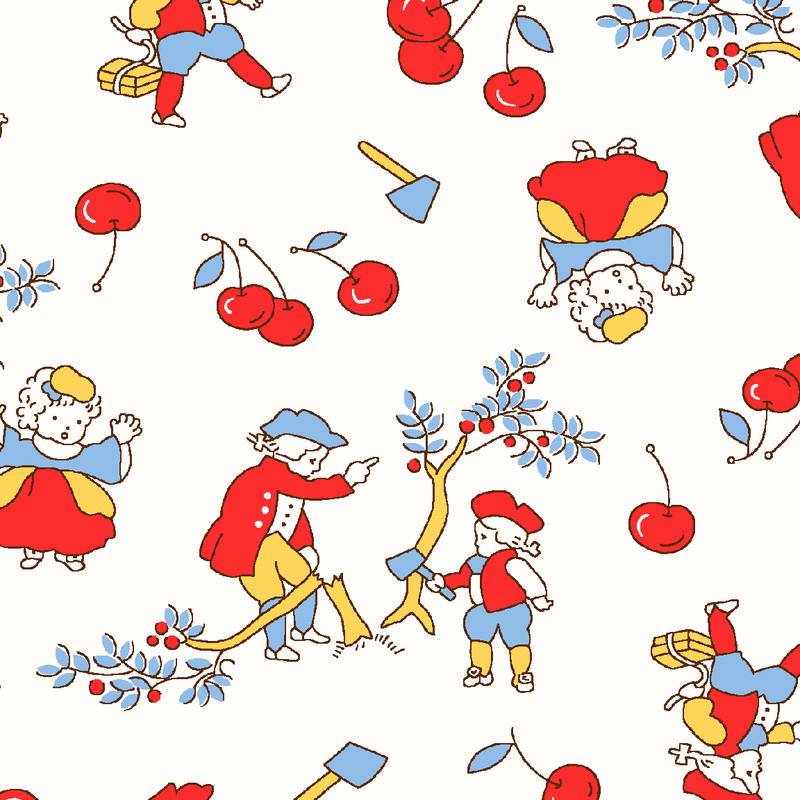 These are reproduction fabrics based on REAL prints from the 1930s or so. Take a look at this one! George is being scolded for chopping down that famous cherry tree! George Washington chopping down that cherry tree! 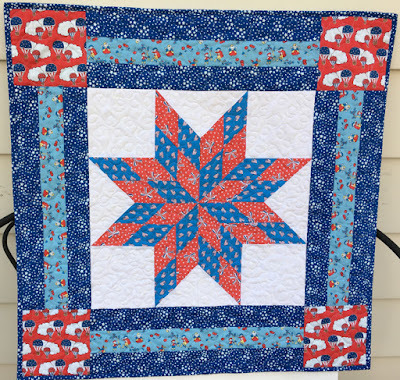 Storybook Americana Lone Star: 31" x 31"
And one I made with some of the leftovers. Steps to the Whitehouse. Yes, that George-cherry tree print is right in the middle (in blue). And the reason the borders are two different prints has to do with not having enough of either one. Pretty clever, huh? Do you remember the American Eagle quilt I made several years ago using a reproduction coverlets line? I gave this quilt to my nephew. I called it Patriot's Day. 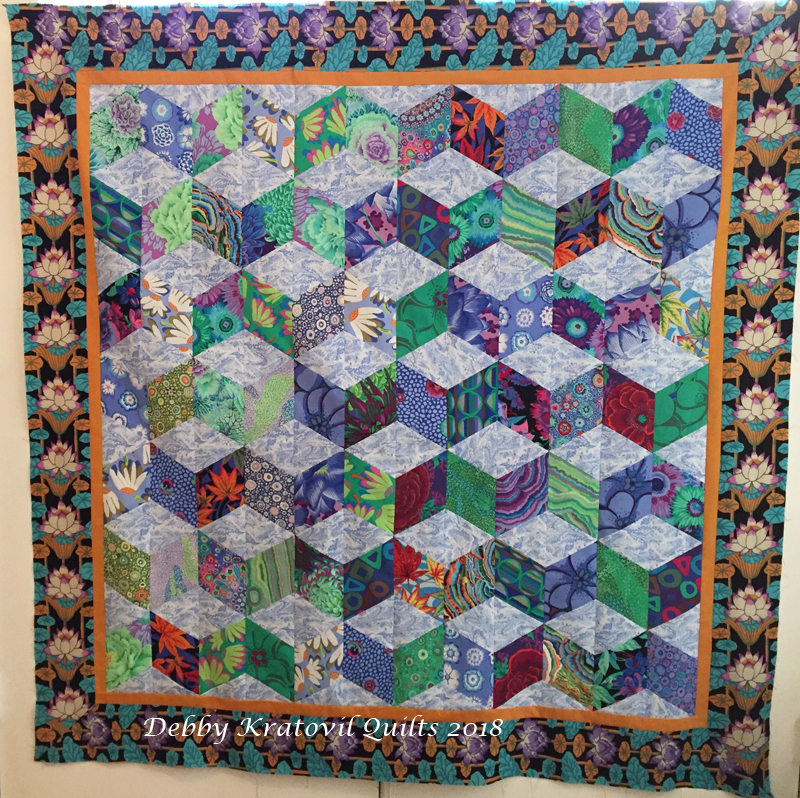 The center block is 24" x 24" and the entire quilt is 45" x 45". 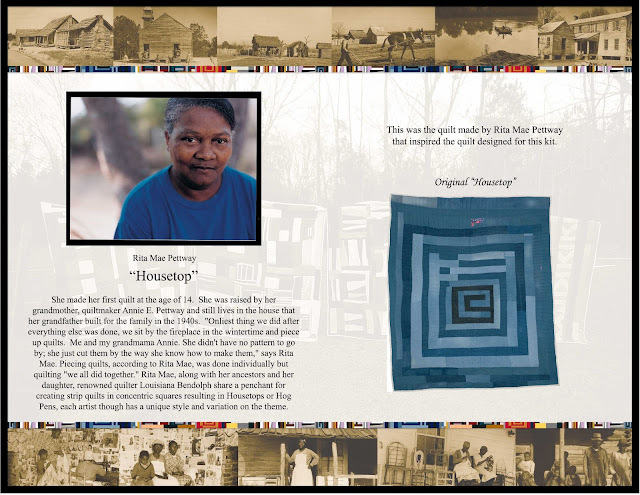 My nephew saw the picture in one of my wall calendars of quilts and was so struck with it. I knew it needed to be in his home and not sitting on a shelf in my closet. A no-brainer, right? You can download the pattern at my Craftsy site: Patriot's Day for $6.00. Perfect for that vet in your life! This makes a lovely summertime quilt! 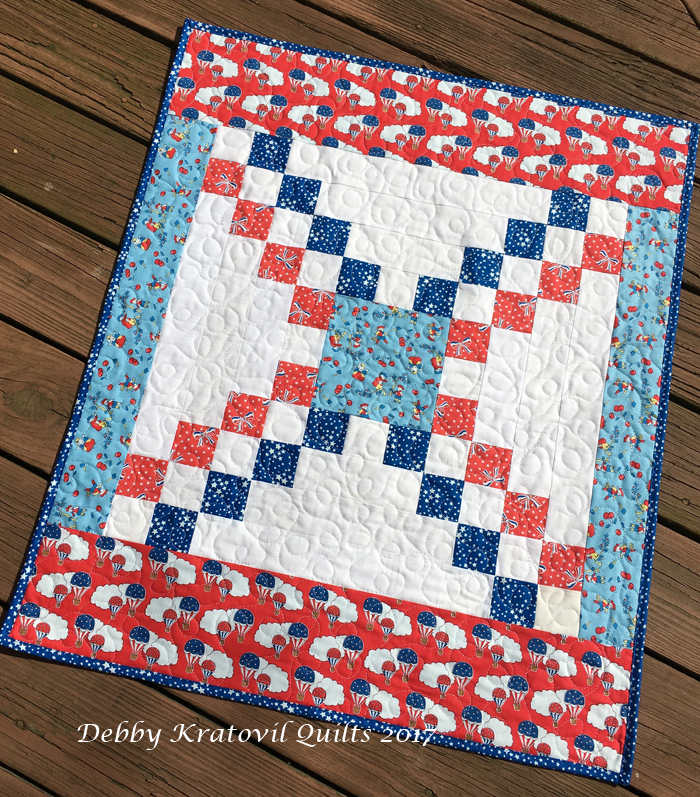 I hope you enjoyed seeing some of my red, white and blue quilts. And I wish you a lovely President's Day (whether you have it off from work/school or not). Love is in the air! Happy Valentine's Day. Here is my recently finished Cupid's Arrows. 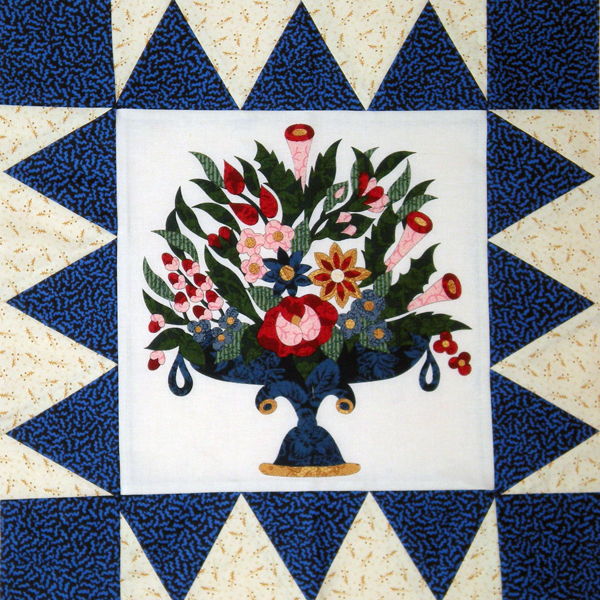 More about my paper pieced Palm blocks another time! 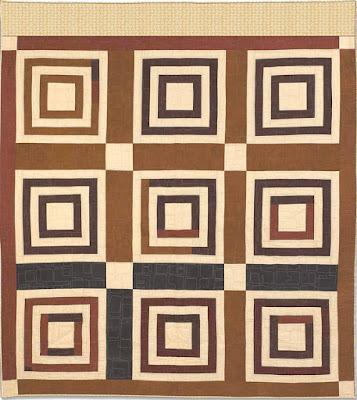 But, what interests me today on Valentine's Day is the new book by quilting legend Donna Lynn Thomas: The Anniversary Sampler. It is a true love story of how she met and fell in love with her husband of 40 years. 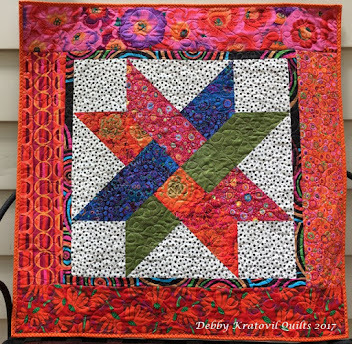 It is a delightful compilation of 40 blocks, all with meaning for their marriage. 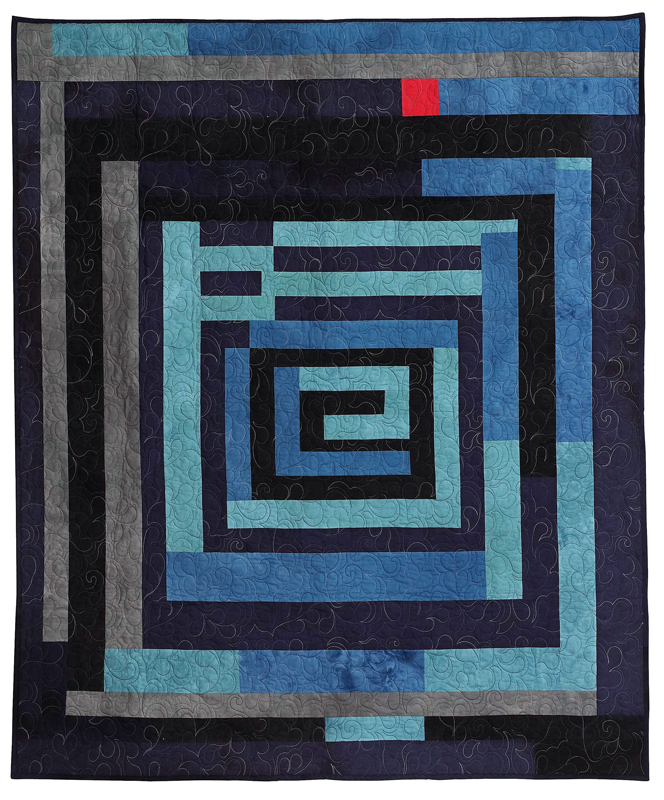 Clay's Choice is so beautifully quilted! Just like the next one, Paddle Star. Posey Basket is one I've made myself many times. It's sweet and the pink and reds are just like a Valentine! Yankee Puzzle is made up of triangles, but the swirly quilting makes it look like it's dancing! 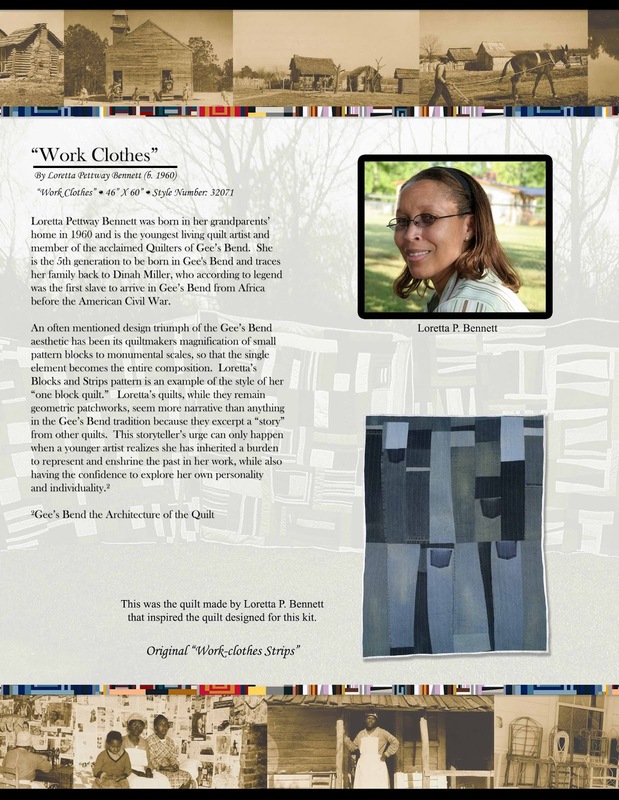 Donna's work is exquisite! 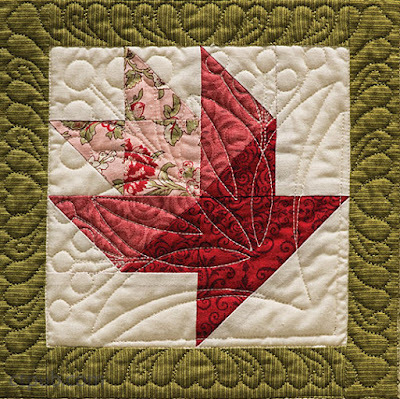 There are wonderfully illustrated steps for both hand and machine piecing, how to make and use templates and even 7 different "keepsake" settings. 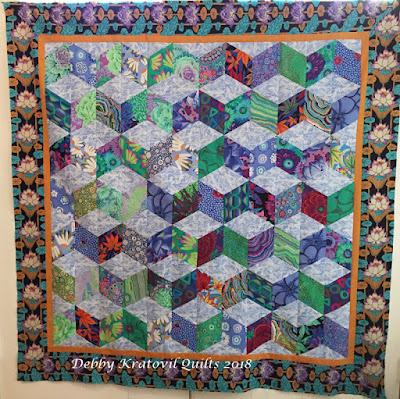 There are short, sweet stories throughout to go along with just about every block - about her husband, her children, her international quilting friends, her journeys. 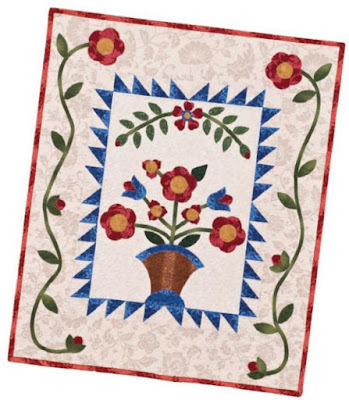 Patterns throughout in one of the loveliest compilations of a block book WITH ways to put them into real quilts. Now, where was I going? First approach was to combine these diamonds with some 60 degree triangles. I wasn't sure if I wanted the horizontal sashing or not. I checked in with a Facebook group for some advice. Here's what I got. 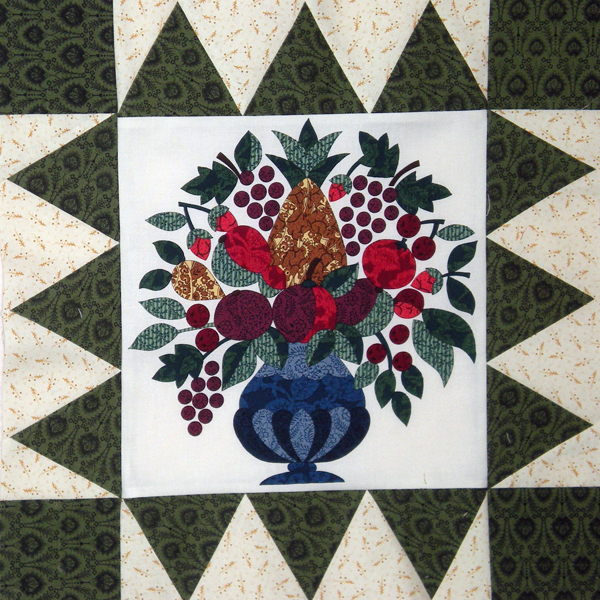 I have since added a border, but not quilted yet. 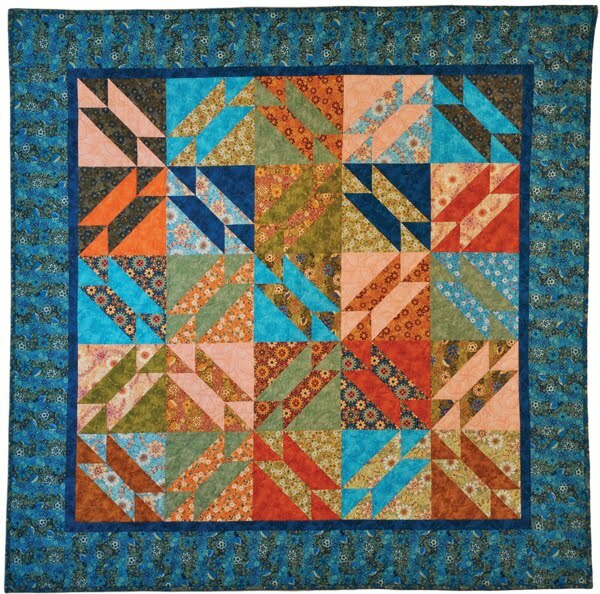 I call it my Harlequin Diamonds quilt. These are 4" finished diamonds, btw. And, NO y-seams! More on this once I finish it. 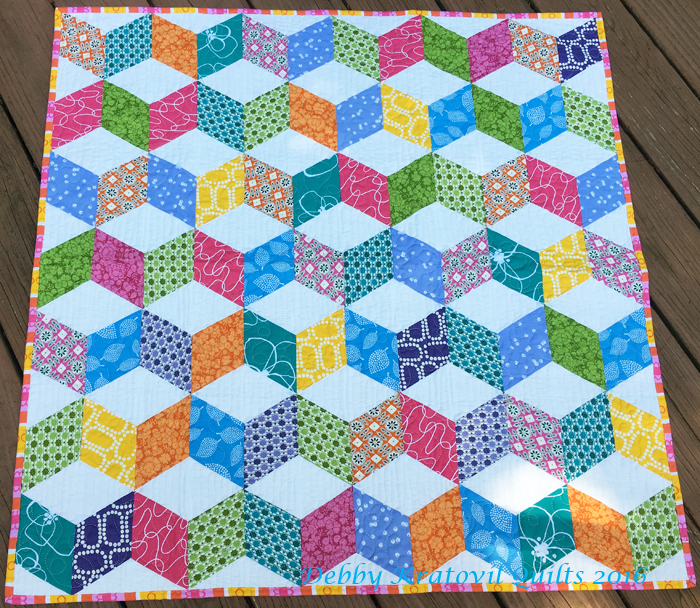 I revisited my Baby Blocks pattern. I first published this in 1996 - yes, I did! My smaller Baby Blocks quilt (uses smaller diamonds and no borders) is a very successful workshop and pattern. Love these colors, too! 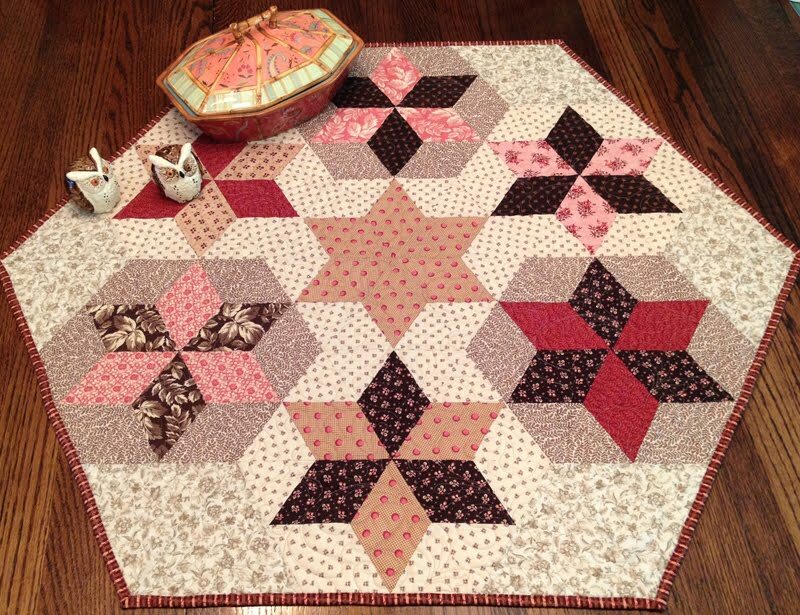 Baby Blocks: 36" x 36"
Love these diamonds, fabrics by Windham. And, there are no y-seams in this, either. 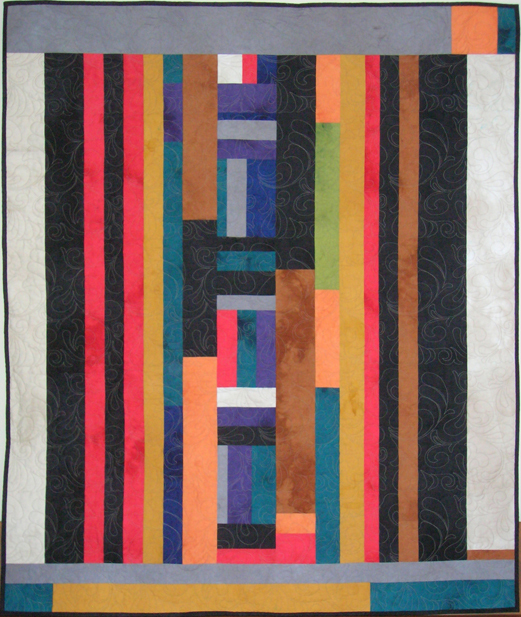 Here it is before I quilted it. 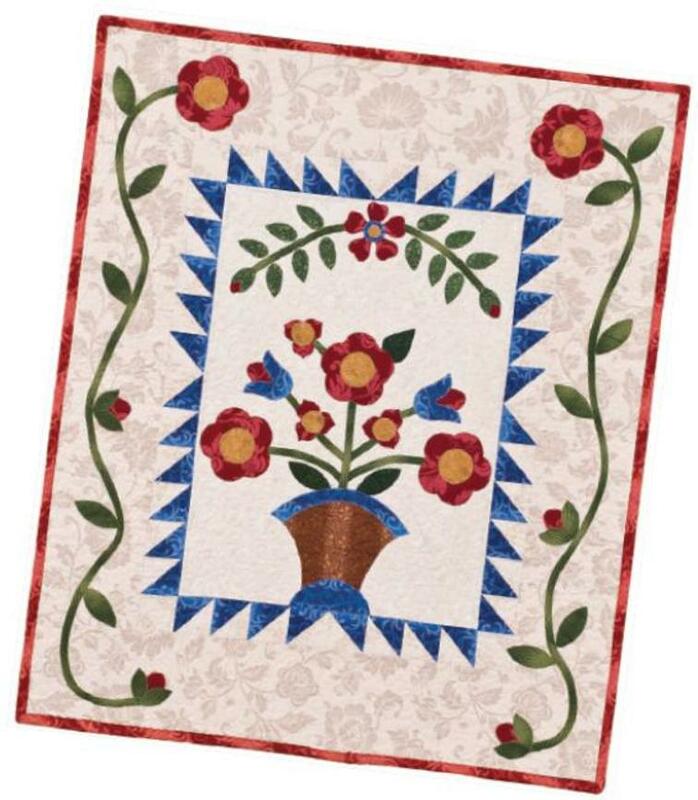 Don't you just love that awesome border print? It's called Black Lotus Stripe by Kaffe Fassett. 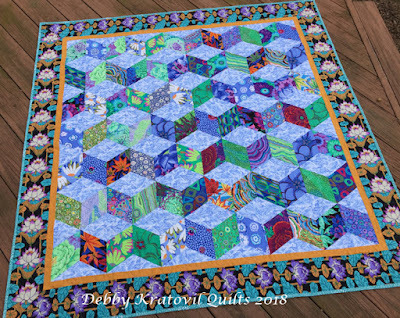 My Diamonds Have the Blues Baby Blocks: 60" x 60"
"My Diamonds Have the Blues" is one of my newest patterns. It finishes to 60" x 60". 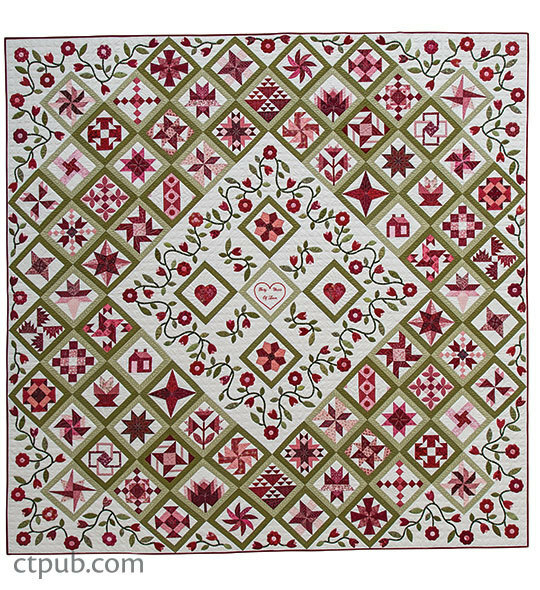 It is pieced in vertical rows of diamonds and triangles. And, just to repeat myself: there are NO y-seams. 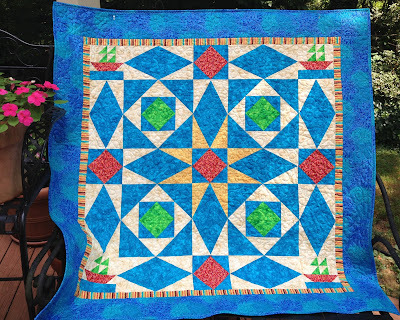 My Diamonds Have the Blues: 60" x 60", quilted on my HQ Sweet 16! Here Come the Winter Games! 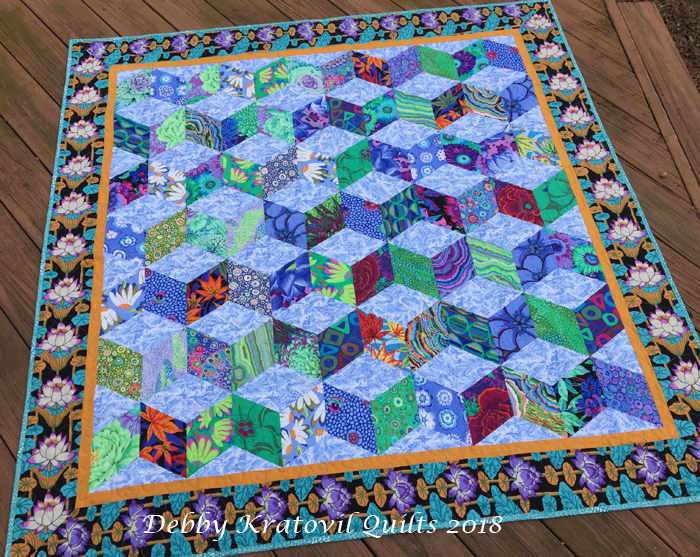 More Calendar Blocks! More Patterns!